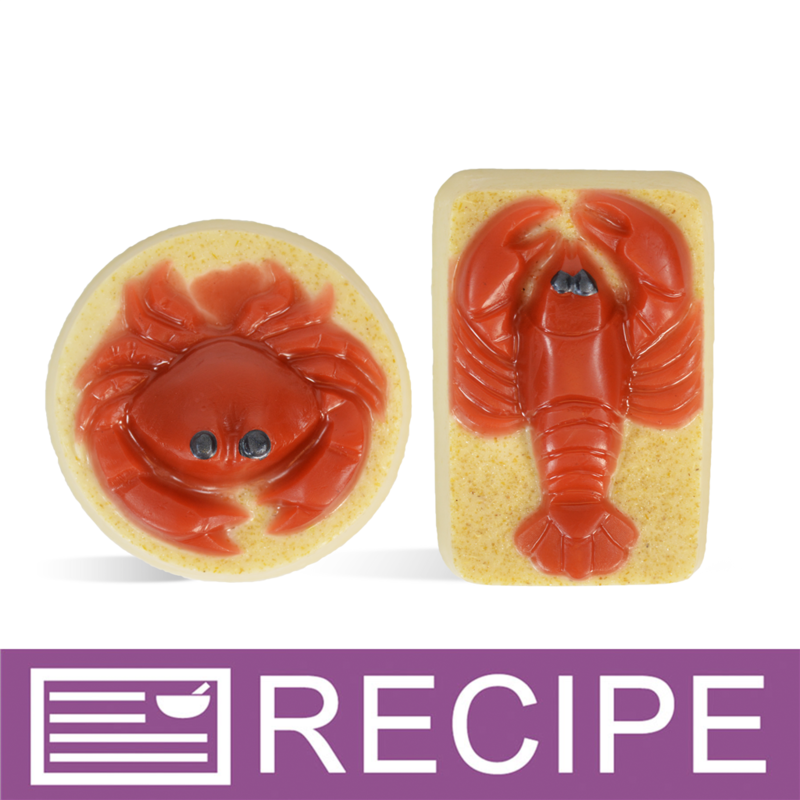 The Soft Shell Crab Soap Mold features a cute little crab on a round bar. Color the crab red and the rest of the bar brown to make it look like he’s shuffling through the sand! Bar Diameter: 2" Bar Length: 3"
COMMENTS: Makes adorable little crab soaps. Easy to decorate with mica powders. COMMENTS: I gave theses out at our annual crab party.It was made with Goat's Milk soap scented in lemon.Nice detailing on the mold.